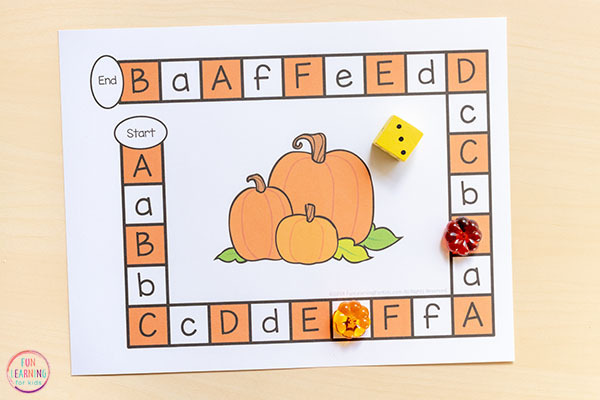 This pumpkin editable board game is a great way to differentiate your math and literacy centers this fall. 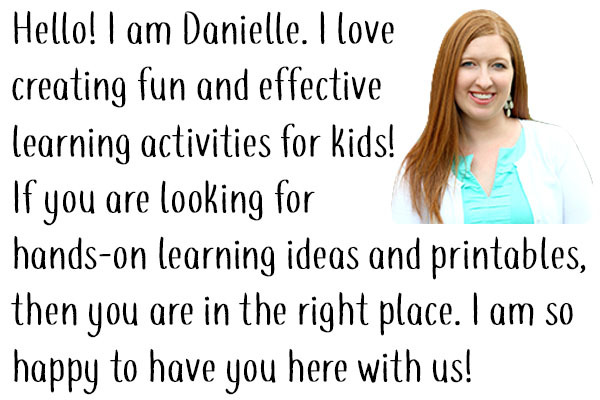 It makes learning fun and engaging too. 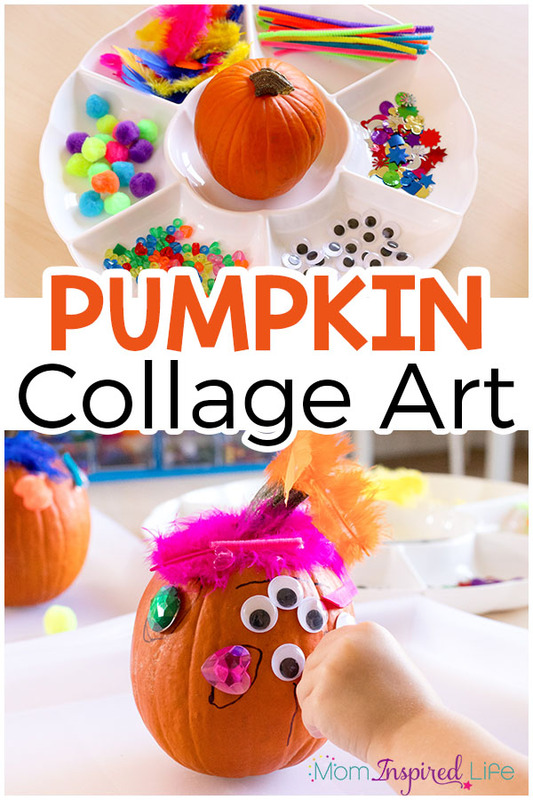 The kids will love this fall activity! 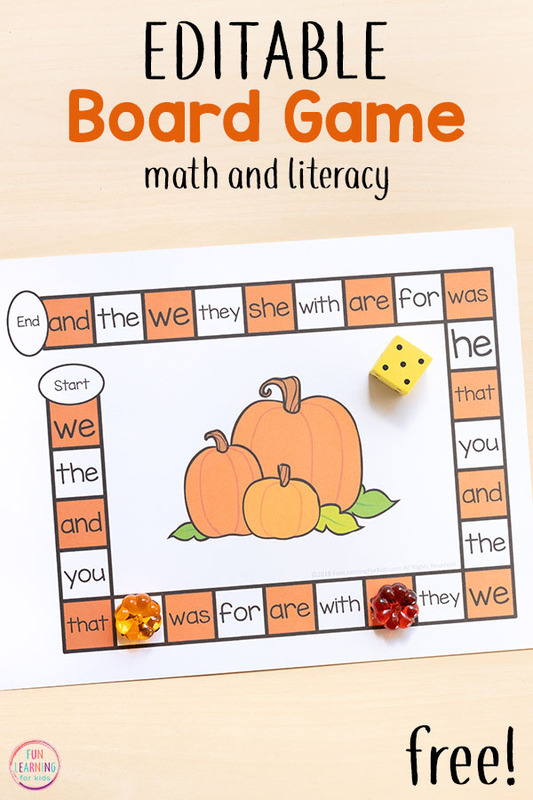 I love using board games to teach skills. My kids enjoy them so much and I feel good knowing they are having fun while learning important skills. When I realized I could make editable board games, I was crazy excited. 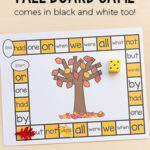 It has made it so easy to work on a huge variety of skills with my kids – all while using the same game board. I am so happy about these new themed board games that I am creating. 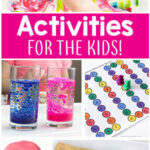 My kids love themed activities, so it really increases their engagement. 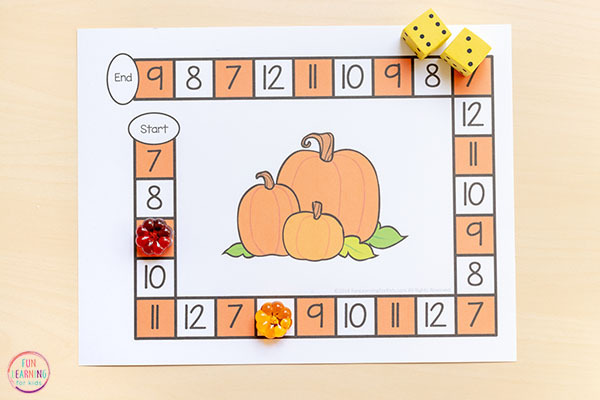 The first editable board game is this pumpkin themed version. 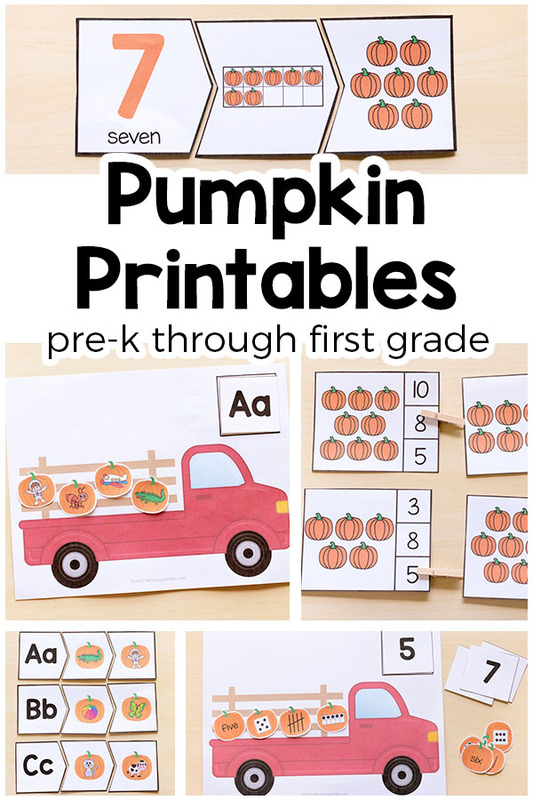 It is perfect for fall and pumpkin season! Students will roll a cube with a letter written on each side and then move to space that matches the letter rolled. 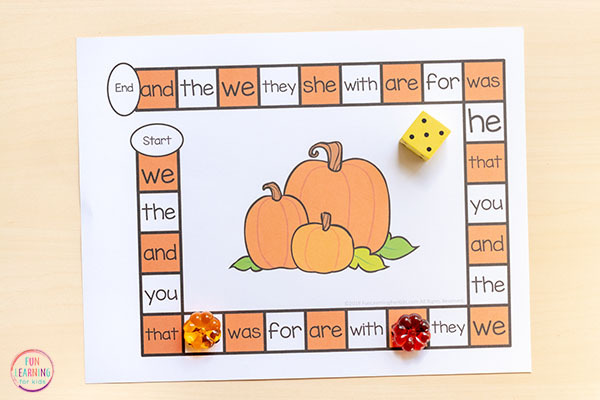 Students will roll a cube with blends or digraphs written on each side. Students roll the cube and move to a space with a word that includes that blend or digraph. 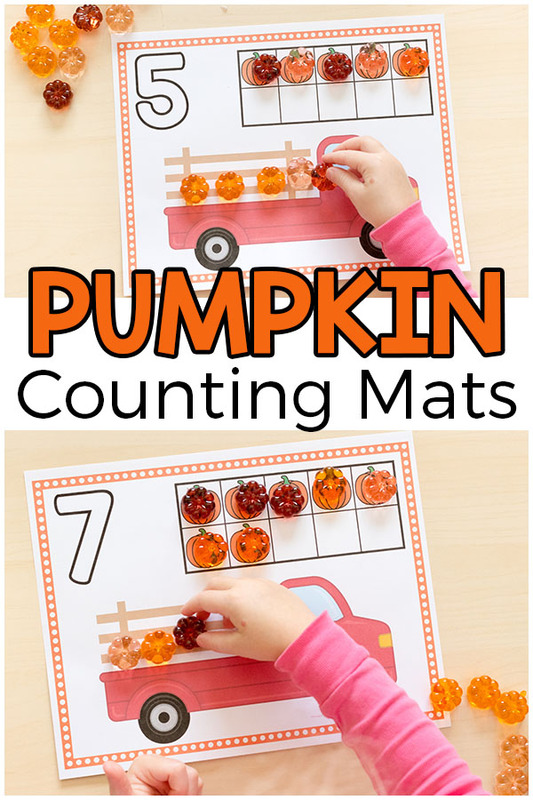 As you can see, there are so many ways to use this pumpkin editable board game. I am sure you can think of even more ways to use these with your students! 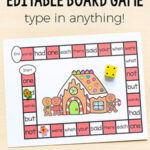 You will fill in the board game with any numbers, letters or words you would like to use. 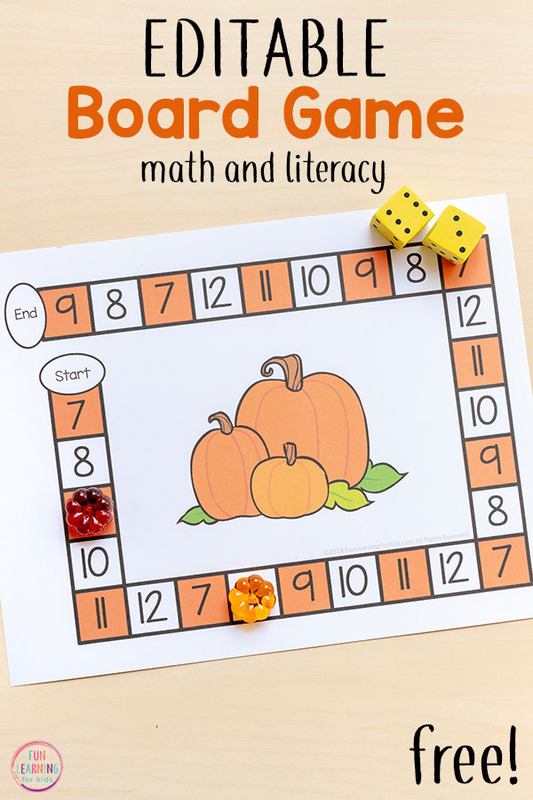 Students will roll a dice or spin a spinner and move their game piece that many spaces on the game board. My son has been using the game board to reinforce addition facts. 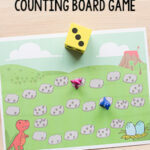 He rolls two dice, adds them together and moves to the next corresponding space on the game board. For this one, you can use 6-sided or 10-sided dice. 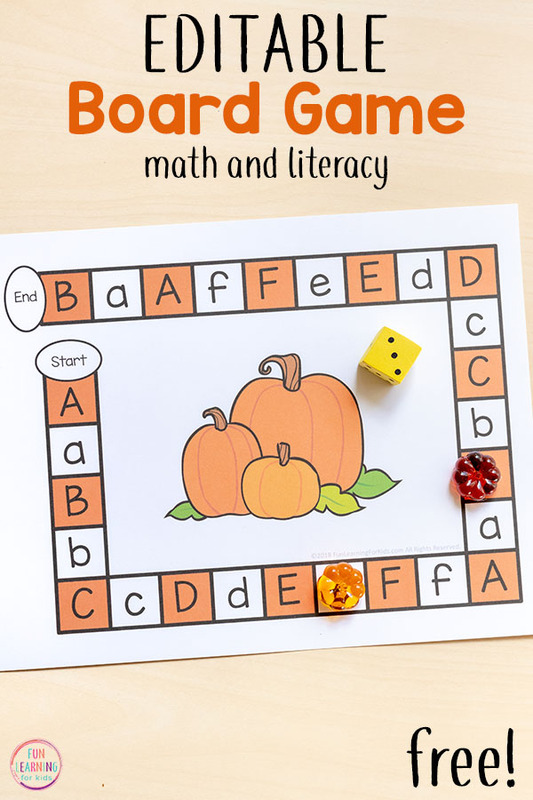 I hope you find lots of great ways to utilize these pumpkin editable board games! 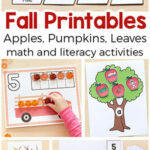 Check out these other pumpkin activities! 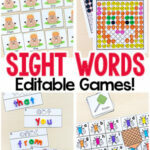 Editable Sight Word Games That Are Super FUN!